The Catskill Park and Region are wild and beautiful New York Public Lands that so many of us use for hiking, camping, cycling, fishing, and other responsible outdoor activities. Many of us visit or have homes in Catskill Park communities which provide quality experiences and services for visitors. The Catskill Park must have support in the New York State Budget to ensure that these Public Lands stay accessible and safe for the many visitors that enjoy them. 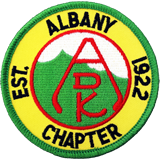 On February 5, 2019, join a team for office visits in Albany to let legislators know that the Catskill Park needs funding for more NYS Forest Rangers, to ensure sufficient support in the Environmental Protection Fund for land acquisition and stewardship, to protect the Hemlock Forests of the Catskills from the invasive pest Hemlock Woolly Adlegid, among other important projects and issues. You can be part of this fun and important event as a volunteer advocate for the Catskill Park.